BroadwayBox teams up with photographer Curtis Brown to present "Ushering in a New Golden Age", an exclusive photo and interview series in which we spotlight the breakout stars from the 2018 Broadway season and style each like Broadway's original age. This illustrious crew of Tony nominees, Drama Desk nominees, and fan favorites was photographed at the beautiful Hudson Theatre (home to next season's new musical Head Over Heels). Next up is Tony Award nominee Hailey Kilgore, who makes her Broadway debut this season as Ti Moune—the orphan girl sent on a journey by the gods to test the powers of love and death—in the acclaimed, Tony-nominated revival Once On This Island. It’s changed in a lot of really cool ways. I’ve met people who I grew up dreaming I would meet. I did the Easter Bonnet Competition, and Bernadette Peters was in the dressing room next to me, and I spoke to her, and she spoke to me. It’s little moments like that you would never dream you’d have. I’m sitting here getting my hair and makeup professionally done, which is not something the average 19-year-old from Happy Valley, Oregon would be able to experience—but it’s the same person, just getting to do all these beautiful things. I would love to watch Jennifer Holliday in Dreamgirls, and I would have loved to have been in the audience to see Lea Salonga play Kim in Miss Saigon for the first time. That would be amazing. I have something from both my parents. When I was actually starting this experience and this process (before I even booked the role, which was a four-month journey), my mom bought me this beautiful necklace made of metal that has an outline of a tree. It was made in Portland, Oregon, which is my hometown. She gave it to me before my first audition, and I wore it to every call back, every workshop, and every lab. Now, it’s hanging above my station in my dressing room, and before every show I have a moment with that. My father still writes letters, and he wrote me a letter for my first preview and for my opening night. So I have both of them up on my mirrors. 5. What’s been your biggest obstacle in reaching this point? I’m young! It’s very hard for most young people to be taken seriously. I remember when Michael offered me the role on video, I gave them a reaction they weren’t expecting, and I think it’s because I understood I was taking on a responsibility of having to uphold a show. The role was originated by a legend. I realized my job is not about me. My job is about the people who come in and see the show. So, I was very serious all the time and very intense and very tough on myself. It was hard for me to realize that’s what Michael Arden is for and that’s what Camille Brown is for. Finally, when we were in tech, I learned to let go a little bit. 6. As the originator of the role, what piece of advice would you give to future young women who will play Ti Moune—on Broadway, on the road, or at their school? The beautiful thing about Ti Moune’s story is that she has everything that she needs without knowing that she has it in that moment. When you step into this role, be selfless. Remember the joy. Ti Moune has such a strong sense of joy and heart—that’s what really drew me to her initially. You don’t have to add anything! You don’t have to do crazy riffs or overact, just let everything happen. Know the text and the journey and everything else will come as it’s supposed to. Photographed by Curtis Brown at The Hudson Theatre. Makeup by Claudia Eltabie & Liv Swenson from Rouge Makeup Salons, Hair by Austin Thornton, Styling by Kinsland Howell Alice in Kinsland Styling. Clothing courtesy of Clothing courtesy of NY Vintage. 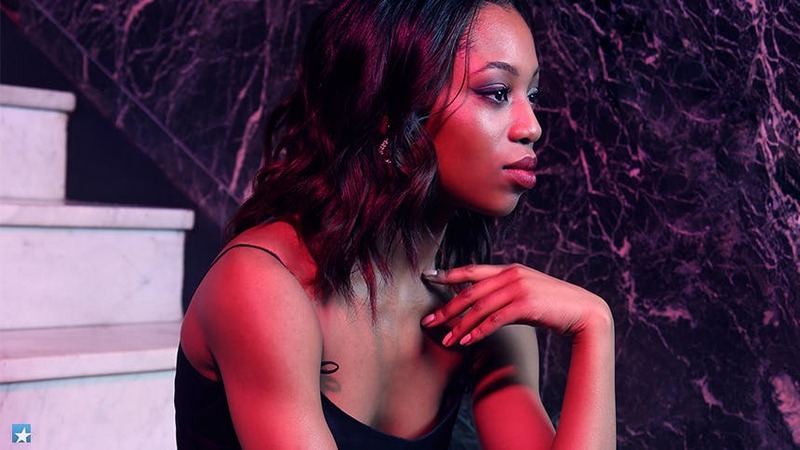 Click here to see the entire "Ushering in a New Golden Age" series, and don't miss Hailey Kilgore's stunning Broadway debut in Once On This Island at Broadway's Circle in the Square Theatre.